My extensive experience record is so important because it means I have handled many different cases in DUI court and have a long record of substantial DUI case victories. If you have any questions regarding your DUI arrest or would simply like to consult a reputable DUI attorney, do not hesitate to contact the Law Offices of Roger S. Elkind. Criminal Law consultations are free. Appointments are also available on nights and weekends, and I will travel to see you. A DUI conviction is the last thing person would want on their record. Believe me, I know. Driving Under the Influence is a serious offense under Florida law, with serious consequences that can damage your reputation, livelihood and ability to operate a motor vehicle. Fines are up to $2,000 and a DUI conviction permanently remains on your record, which CANNOT be sealed or expunged. As declared by the 6th Amendment of the US Constitution, your right to an attorney is guaranteed and protected. Unfortunately, the time which you have been pulled over for suspected driving under the influence is not the time when you can speak to your attorney. In fact, it may take over eight hours before you can even be released. Contrary to popular belief, the police officer does not have to read you your Miranda rights at the time of your arrest. 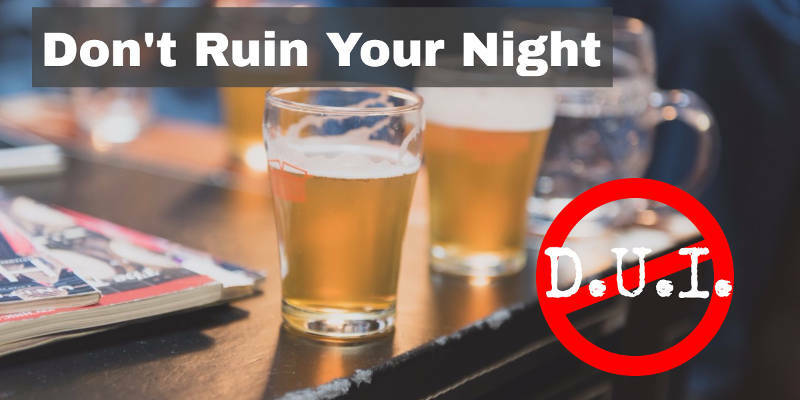 You will more than likely be read your Miranda rights at the police station (if at all), after being subjected to roadside sobriety tests, breathalyzers, and more. As such, anything you say can and will be used against you in a court of law, including breathalyzer results and roadside sobriety tests. These roadside tests are rarely accurate and can be fought in court. Additionally, you have the option to refuse to take any test as well as to remain silent. There are many ways you can challenge your charges, especially if an arresting officer violated your rights. A DUI conviction is permanent and will remain on your record for life. This could affect your ability to get a job and your immigration status. You are innocent until proven guilty. The case must be proved beyond a reasonable doubt by the State. If you fail to appear in court, a bench warrant will be issued for your arrest. This could cause you to lose your bond status and be incarcerated. Refusal to perform field sobriety tests will result in a DUI arrest and refusal of a breath test will result in revocation of your driving privileges. The HGN Test is the most unreliable DUI sobriety test, the police are not qualified experts on the human eye to form an opinion as to your blood alcohol level based on their observations. Breathalyzer Test Instruments must be maintained on a monthly basis, and are based on your breath providing a blood alcohol level. Let’s see how we can collapse this argument together. The walk and turn test is an abnormal display of coordination, most of us rarely walk in a perfect straight line while perfectly sober. The One Leg Stand Test is a physical test that we struggle to perform normally at a gym, most police officers cannot past this themselves. We have a natural 3 inch sway without drinking, let me help you beat this evidence. An inherently flawed exam, Touch a different part of your nose and you have failed the DUI finger nose test.